Great news people! Some of Nigeria's richest people have together to help flood victims in the country. 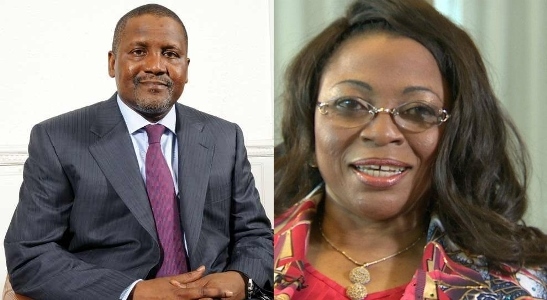 A committee which includes billionaires Alhaji Aliko Dangote as the chairman, Mrs Folorunsho Alakija as co-chairman, Tony Elumelu and other philanthropist has been formed and they have so far raised over N7billion for victims of the flood. Now they are asking other Nigerians to join them to rebuild the flood devastated areas. A lot of people affected are still homeless. The smashing campaign is being shot currently and will be launched soon and is expected to get Nigerians to text in to donate. Please join the cause. Let's help rebuild the affected areas.